Home > Products > Aircraft Cockpit Posters > Boeing B737-800 with -600/700 Diffs. The Boeing B737-800 with -600/700 Diffs. 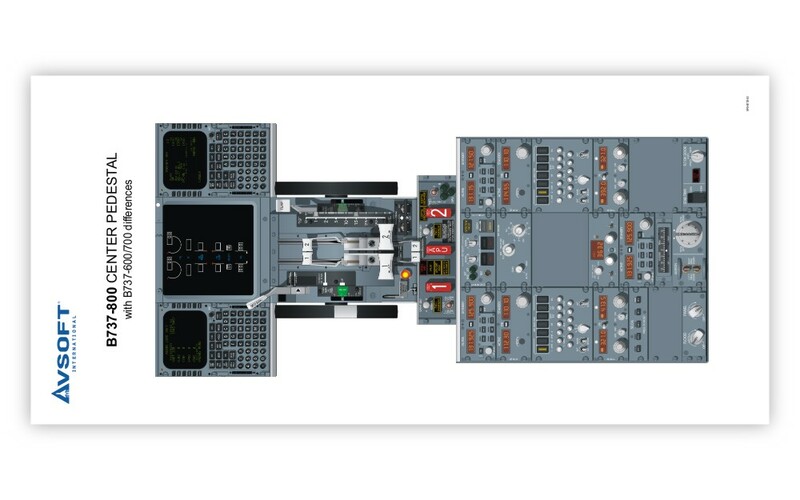 Poster was drawn with a focus on both photo-realism and instructional value, allowing you to familiarize yourself with the B737-600/700/800 cockpit before ever stepping foot inside one! 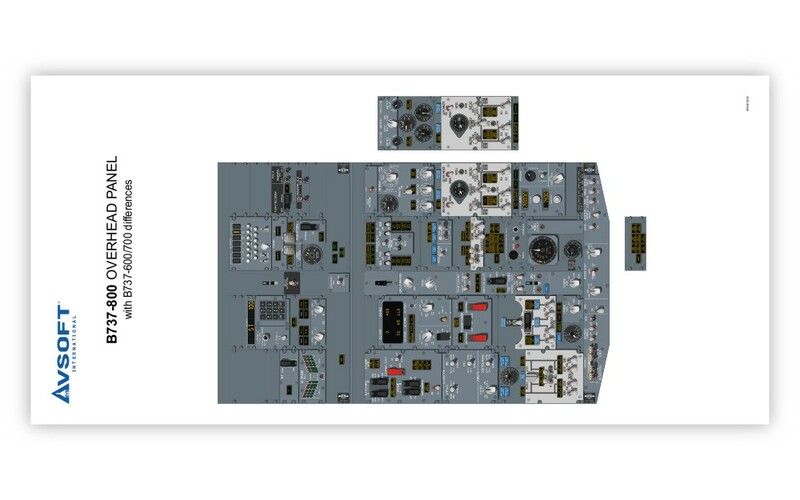 This cockpit training poster features full color vector illustrations drawn using photos and general measurements from a B737-600/700/800 cockpit, so that it provides an accurate representation of colors and dimensions, as well as a detailed portrayal of the individual controls and indicators. The B737-800 with -600/700 Diffs. Cockpit Poster includes the flight instruments, the center pedestal, and the overhead panel. 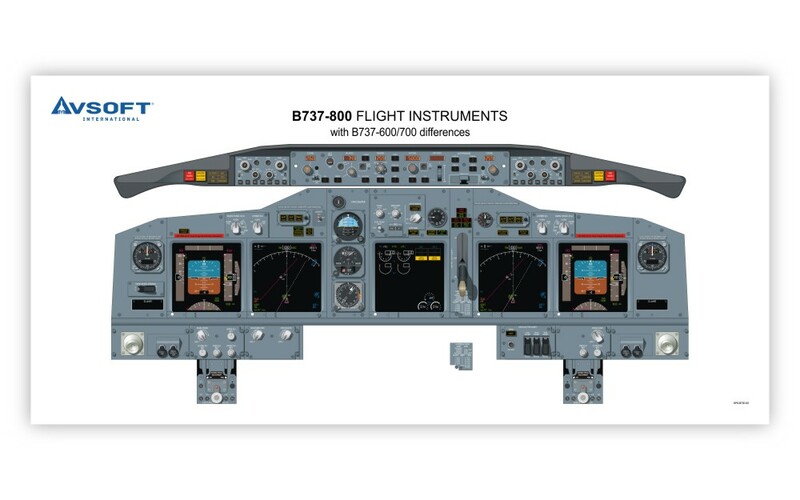 Designed for pilots transitioning to the B737-600/700/800, this poster provides excellent supplemental reference during ground school training, including the ability to practice cockpit flows.